Paris, October 1207. There is nothing that Alais, princess of France, wants more than to settle down with her lover, William of Caen, and to reveal to his ward Francis that she is his mother. But intrigue is afoot in the palace: two monks have arrived from Rome on a mission to compel her brother Phillipe, the King, to help them battle a dangerous breakaway Christian sect in the south know as the Cathars. Tensions are pushed to the brink when the St. John Cup, a relic much prized by the Cathars, is stolen, and then young Francis goes missing. Frantic for his safety, Alais will risk life and limb to find the boy. 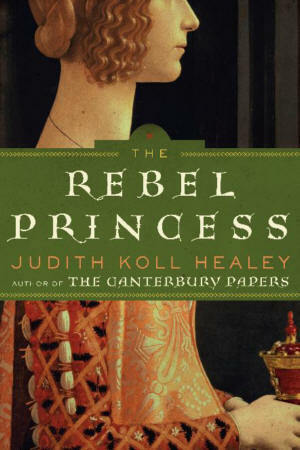 Donning a disguise, the royal princess must outwit cunning enemies and make her way into unfamiliar territory to save her son, and maybe prevent her beloved France from a bloody holy war.